Visit the slot booking page of GITAM GAT and login by referring to the application form. Select the slot of your choice and click on submit. Click on the generated e-hall ticket and download and print the same. 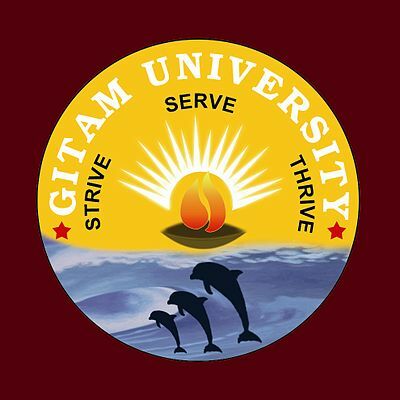 The GITAM GAT 2019 admit card will be issued online by the conducting authority. Admit card can be downloaded by the candidate from the official website of the university. Only the eligible candidates will be able to download the admit card. It is better if the candidates check for the eligibility criteria before they apply for the exam. Applicants should check GITAM GAT 2019 Eligibility Criteria. Candidates should go through the GAT Hall Ticket 2019 details thoroughly. Candidate should make sure that the documentation should be checked once, as it plays a major role in the GAT2019 Examination centre. Availability: Admit Card for GITAM GAT 2019 will be available from 5th April 2019 on the official website. Slot booking should be done by the candidate for the exam before downloading the admit card. Applicants can book the slot based on their preference. Candidate must carry a print out of the admit card along with ID proof as mentioned in the application form to the exam centre. Candidates name, roll number, date of birth, the name of the exam, exam centre, course of the examination, the photograph of the applicant, and applicant signature will be given in the admit card. A detailed description of the address of the exam centre will be given in the exam. The details of the slot booked by the candidate will also be provided in the admit card. Step 1: The candidates have to visit the official website of the university for slot booking. Step 2: The candidates have to log in to the page using the login ID and password. Step 3: In the next step, select the slot for writing the exam, the test centre and date for taking the GITAM GAT 2019 based on the preference. Step 4: Students will need to confirm and submit the slot given for the GITAM GAT examination 2019. Step 5: Click the generated e-hall ticket (admit card) for GITAM GAT 2019 exam. Step 6: Download and print the GAT Admit card. Note: Candidates must cross-check and make sure the details in the admit card is correct. Applicants can reach out to the authorities of the university and request them to make any changes if there any mistake in the admit card. You shall visit the official website to book the date and time slots for the exam. The slots will be booked on the first come first serve basis. After arriving on the landing page for booking the slots, you need to input your application number, gender, the date of the birth and click on proceed. Then you have to book the suitable time and date for your exam centre and click on confirm. Your slots will be finalized completely.